England’s Harry Kane is used to accolades for his goal scoring – after all it took him just 79 seconds and three touches to score on his international debut against Lithuania in March 2015. But Kane, twice the Premier League’s top scorer with 108 goals in 153 top-flight games, now has the biggest individual goal scoring prize of all in his sights – the World Cup’s Golden Boot. His penalty in Tuesday’s last-16 victory over Colombia took him to six goals for the tournament, two clear of his nearest challenger, Belgium’s Romelu Lukaku, and three clear of a small group including France’s Kylian Mbappe. In the process he also equalled Gary Lineker’s England record for number of goals in a tournament, set in 1986, and became the first Englishman to score in six consecutive internationals since Tommy Lawton in 1939. With Sweden to come in the quarter-finals on Saturday (and a potential two further games after that), Kane may not be finished yet. 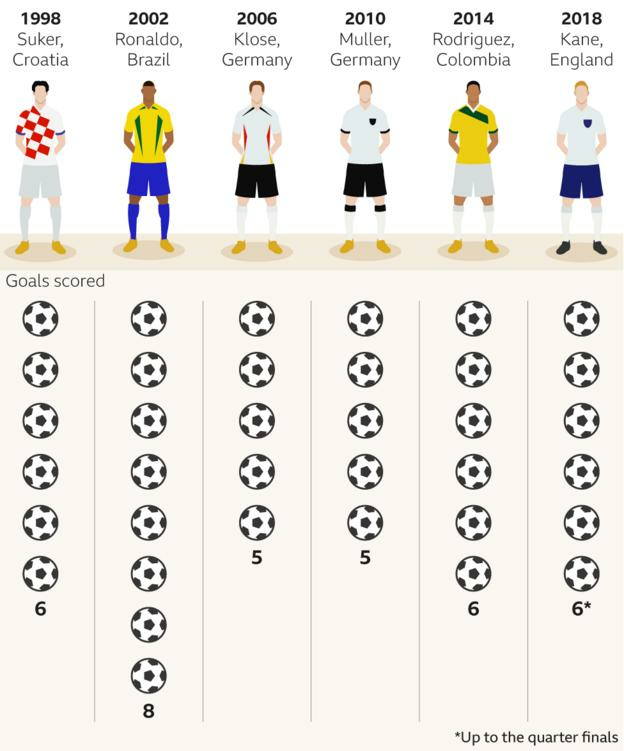 BBC Sport looks at he stacks up against the rest and whether the Golden Boot could be heading in the direction of an England player for the first time since Lineker, 32 years ago. How does Kane compare to rivals? Kane has benefited from being England’s penalty taker in a World Cup that has featured more spot-kicks than any other. Twenty-eight have been awarded so far, with 21 goals resulting from them. As you can see below, Kane’s percentage of goals from penalties is higher than any previous Golden Boot winner who has scored from the spot in a World Cup tournament. And what about past winners? The Golden Boot was first awarded at the 2010 World Cup. Before that, from 1982 to 2006, it was the Golden Shoe and before that players were just recognised as the top goalscorer at the tournament without there being any formal award. 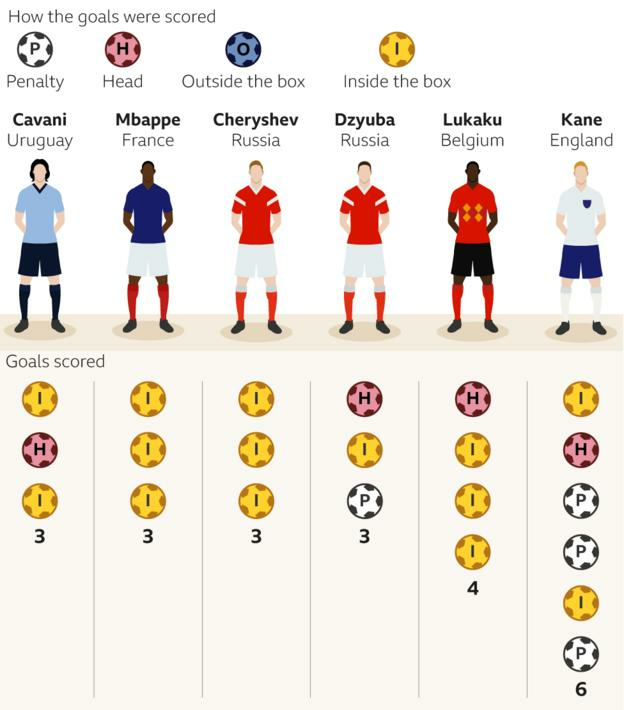 Kane’s six goals would already have won him or given him a share of the Golden Boot (or its equivalent) in 11 of the previous 20 World Cup tournaments. England’s captain will have to do something truly remarkable if he is to break the record for most goals at a World Cup, however. He is still seven short of the tally set by France’s Just Fontaine in Sweden in 1958. However, with six goals in his first three World Cup appearances for England, Kane is in exalted company. Only three players have scored more in their first three matches – Golden Boot winners Hungary’s Sandor Kocsis (nine), Germany’s Gerd Muller (seven) and Argentina’s Guillermo Stabile (seven). He has one fact on his side – his age. At 24, Kane has hit a magic number when it comes to the top scorer prize, with seven of the first nine outright winners doing so at the same age. What does winning the Golden Boot mean for a player? In short – kudos, prestige and the opportunity to further your career at one of the biggest clubs in world football. Lineker was already a big fish in the then First Division after joining Champions Everton for a club record £800,000 fee in 1985 and scoring 40 goals in 57 games on Merseyside. But the 1986 World Cup in Mexico saw a dream move to Barcelona materialise for £2.8m. Back in 1994, Russia’s Salenko was little known away from his club, Spanish side Logrones, but his six goals in the finals in the USA ensured a tie for the Golden Boot with Bulgaria’s Hristo Stoichkov. He stands alone in World Cup history for scoring five goals in a game, while also being the only player to finish top scorer after his country failed to get out of the group stages. His record-breaking exploits earned Salenko a post-tournament switch to Valencia. Ronaldo recovered from a series of knee problems to score eight goals, including two in the final against Germany, as Brazil won their fifth World Cup in 2002. Widely regarded as the best forward on the planet at the time, he moved from Inter Milan to Real Madrid that summer and his second Ballon d’Or followed later that year. 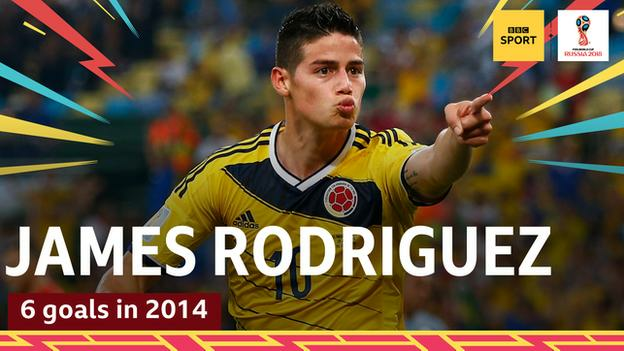 Monaco’s attacking midfielder Rodriguez announced himself on the world scene at the 2014 tournament in Brazil, scoring six times in five games to help Colombia to the quarter-finals. His efforts saw him eclipse Germany’s Thomas Muller and home favourite Neymar in the race for the Golden Boot, paving the way for a £71m move from Monaco to Real Madrid on a six-year deal. What they did the season after winning the Golden Boot?